Everyone loved bunk rooms build into a wall like this. It leaves plenty of floor space for play and creates individual "nooks" for each child to have their own private space. 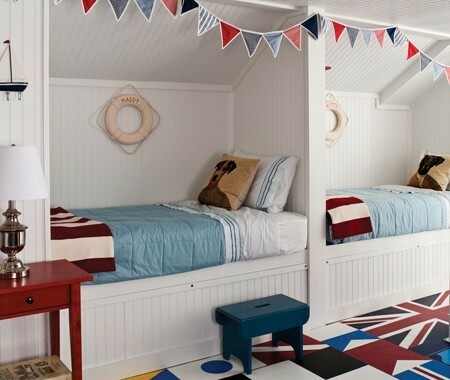 The nautical flair in this one featured in House & Home is putting me in the beach mode for the weekend! Those are gorgeous. Someday I will build a house with those built in.